As the name suggests, this structure is located in Northern China and is one of the magnificent wonders of the world. It is the longest human-made structure measuring over 21,000 km in length. Its architecture is based on an ancient defensive technique which aimed to keep invaders from crossing its borders as well as to protect the silk route trade. 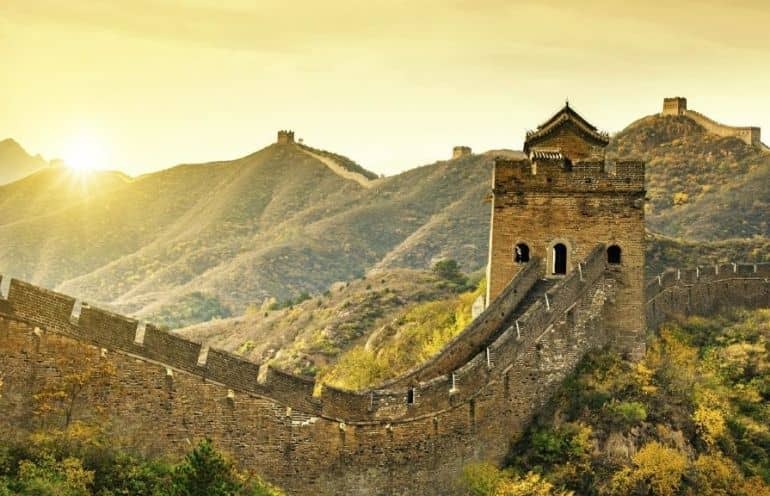 Several states and dynasties built it, Qin Shin Huang, emperor of the Qin Dynasty, was the early emperor to have worked on the fortification using rice flour and stones. The site is of great historical importance and a symbol of the unification of China against invaders and enemies. When visiting China, this excellent engineering marvel is a vital destination to visit to experience the magnificence for yourself. 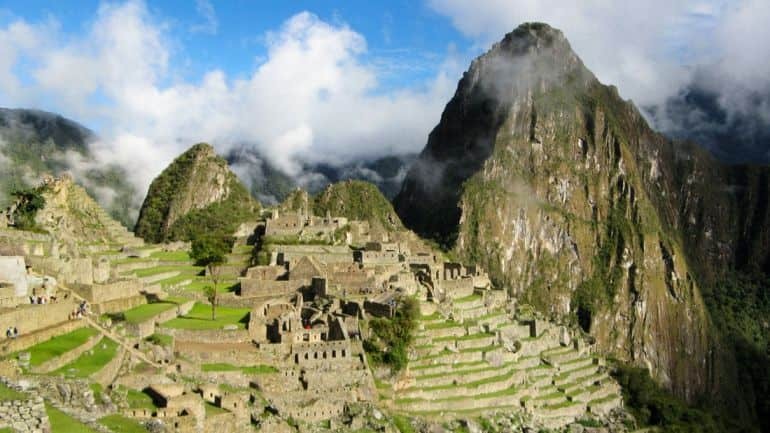 For visitors to Peru, Inca city of Machu Picchu can be one of the most spectacular sights to behold. One of the Seven Wonders of the World, this archaeological site is built in the form of a citadel. The Citadel holds buildings, palaces, temples and platforms which are all connected through lanes. A lecturer from the Yale University explored this ancient site called Hiram Bingham and made the existence public in 1911. It is formed of stones which fit together so tightly without mortar which inspire awe. Despite many visitors each year, this early Peruvian architecture holds its grandeur and is one of the most attractive sites in Peru. Rome, the eternal city is home to various magnificent treasures, the Roman Colosseum is one of them. 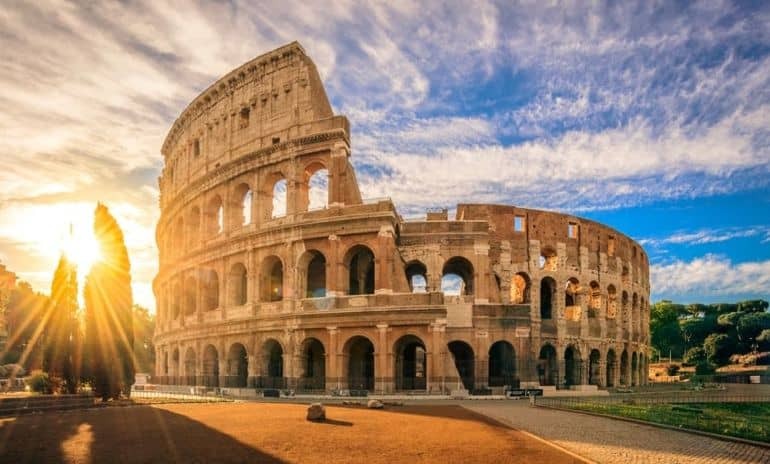 The Colosseum is considered as one of the wonders of the world due to its enormous palace. Located in the center of the city, this massive amphitheater was built by Emperor Vespasian around 70-72 AD. It is elliptical in structure and has about 80 entrances. Its tiered seating arrangement can accommodate roughly 60,000 seated with a standing populace of 10,000. During that time, the Roman people were entertained here through gladiator and animal combats. Currently, two-thirds of the palace is destroyed; however, the site remains to be a favorite travel destination for many. Built by the Mughal Emperor Shahjahan, the Taj Mahal is another one of the breath-taking wonders of the world. 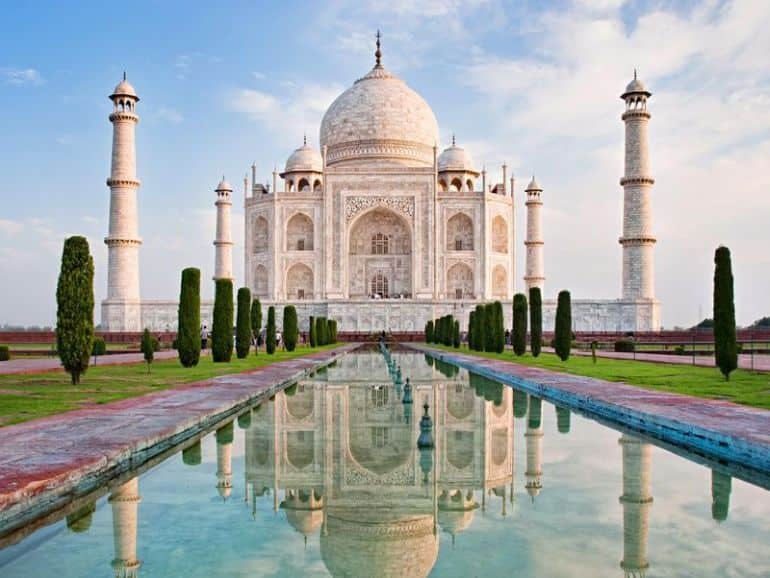 Located in Agra, India, this monument is built from white ivory marble. This magnificent site is a symbol of love as it was created by Shah Jahan for his beloved wife Mumtaz Mahal, following her death in 1631. 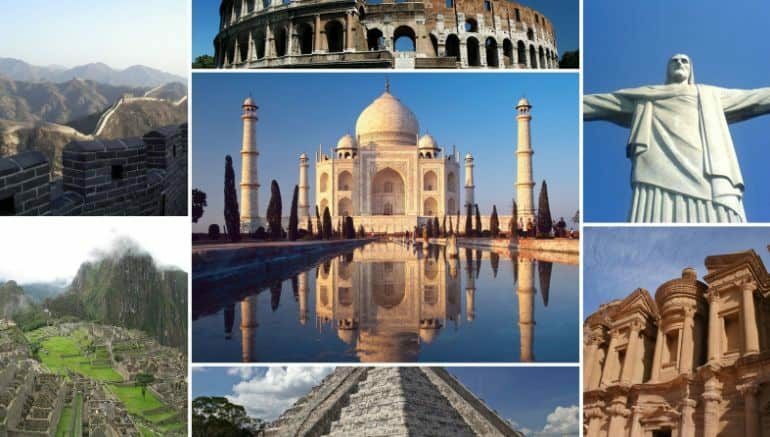 Besides being one of the seven wonders, it was declared as one of UNESCO’s world heritage sites in 1983. The beauty of the Taj Mahal cannot be surpassed, and it represents the zenith of Mughal architecture. When talking about its design, this medieval site is inspired by the Persian and Hindu architecture which can be seen from the design of its dome and lotus in carvings. The central dome is surrounded by four smaller domes which emphasize the grandeur of the central dome. Inside the dome are the caskets of Shah Jahan and Mumtaz Mahal, preserved for people to revere. Besides the dome, the monument has lush lawns and arched entrances, which gives it a royal touch. Over the years, pollution has deteriorated the quality of the precious marble stone. However, to restore its magnificence, restoration works are ongoing. Petra, also known as the lost city of stones, can be found in Jordan’s southwestern desert. It is a well-known treasure of Jordan and one of the many attractive destinations for tourists. 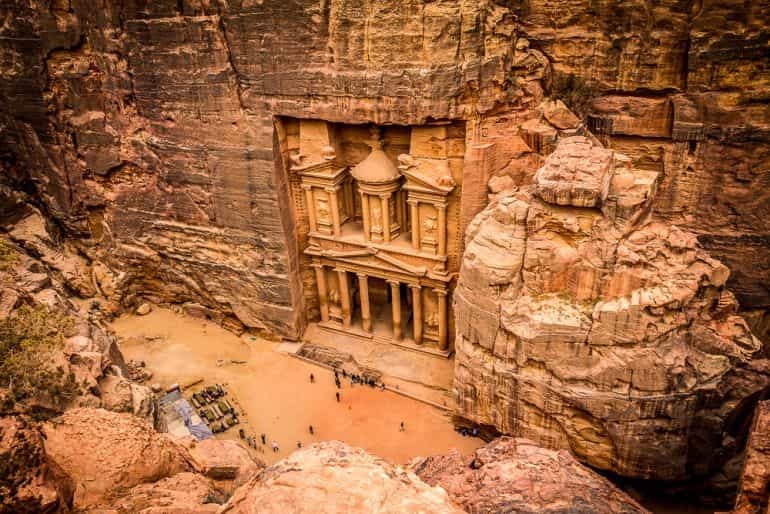 Built by Nabataeans, industrial Arab people, the city is carved out of red-rose sandstone. It comprises hundreds of tombs, homes, theatres, and temples which can house more than 3,000 people. It has been said that the temples and altars were used to sacrifice animals to calm the gods. Besides architecture, its treasure is the most popular and is estimated to be over 2,000 years old. The salt blown from the Dead Sea crystalizes on the building stones and columns resulting in weakening of the structures. Despite this, the site holds historical importance and is one of the most visited sites in Jordan. This mysterious site still has many hidden secrets which are unknown to the scholars. Excavation of the site is a continuous process through which many hidden secrets are still yet to be revealed. 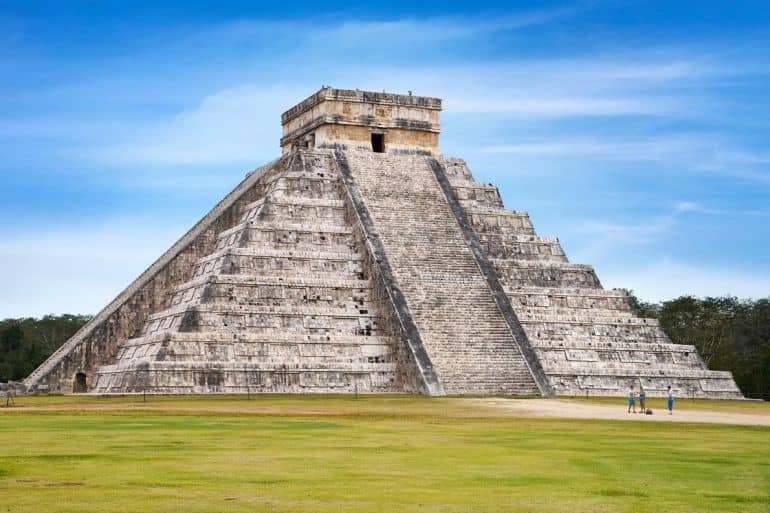 Holding the title of one of the Seven Wonders of the World, Chichen Itza is without any doubt an attractive Mexican relic. This archaeological site dates back to the pre-Columbian Maya civilization. In 1988, this ancient architecture was granted the title of being a UNESCO world heritage site. It is also known as the Temple of Kukulcan, a serpent deity. The pyramid is developed in the form of steps on all of its four sides with sculptures of serpents running down its railings. The temples and pyramids are built in different groups of clusters. The most well-known clusters including Great North Platform, the Ossario Group, the Central Group and the Old Chichen. Except for Old Chinchen, all remaining clusters are open for a visit to the public. Christ the Redeemer Statue, another wonder of the world, is located in Rio De Janeiro, Brazil. It is sculptured in such a way that it overlooks the entire city. 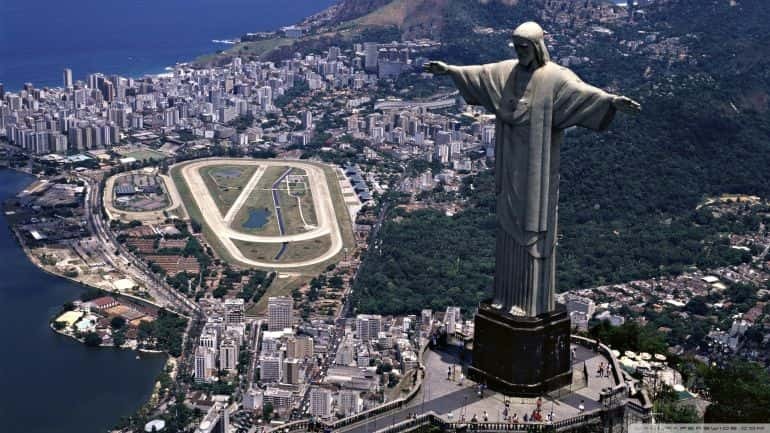 The statue, 30 meters tall, is a symbol of Christianity across the world and represents the culture of Brazil. Initially designed by Da Silva Costa, the art deco of the statue has been made by French-polish sculptor Paul Landowski. It took Paul nine years to build the statue. The statue was made using a reinforced concrete material, which was, at the time, newly developed to ensure the strength of the sculpture and its wide wingspan. However, as the material gave a rough look to the sculpture, Silva later decided to cover the statue with soapstone light grey colored tiles. To reach the statue one has to climb 220 steps or an escalator is provided for ease. One can see the breathtaking panoramic view of the city from the statue which makes it one of the most desirable places to visit. Author Bio: Katherine Ripey is a North Carolina-based freelance writer and work-from-home mother of two. In her 10 years as a professional writer, she’s worked in proposal management, grant writing, and content creation. Personally, she’s passionate about teaching her family how to stay safe, secure and action-ready in the event of a disaster or emergency.